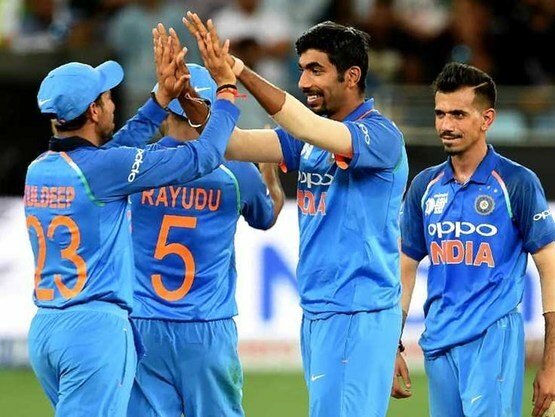 India bowlers displayed a disciplined attack to restrict Pakistan to 237/7 in the Super Four clash at the Dubai International stadium on Sunday. Spin twins Kuldeep Yadav and Yuzvendra Chahal scalped two wickets each while pacer Jasprit Bumrah (2/29) displayed brilliant bowling in the death overs. For Pakistan, veteran all-rounder Shoaib Malik (78) played a well-composed innings to help his side reach a decent total. Malik's 90-ball knock was laced with four boundaries and two hits over the fence. Opting to bat first, Imam-ul-Haq (10) was sent back by Yuzvendra Chahal early. Fellow opener Fakhar Zaman (31), on the other hand, got off to a good start but failed to convert it into a big score. Unperturbed by the dismissal, Malik along with skipper Sarfraz Ahmed (44) forged a 107-run for the fourth wicket. Later, Asif Ali (30) off 21 balls played a brilliant cameo knock to contribute crucial runs in the middle-order for Pakistan.